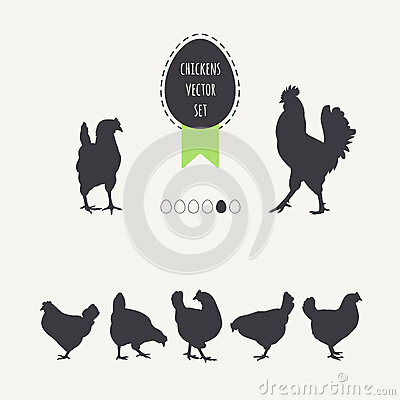 Set chicken hens. Silhouettes of laying hens, rooster. Set of chickens. Silhouettes of laying hens, rooster. Frame egg with green ribbon.